One of the more welcoming (and surprising) additions to iOS 8 last year was the ability to use third-party keyboards. After years of locking down its ecosystem, Apple was finally showing signs of opening up, admitting that not everything it does is the end all, be all. 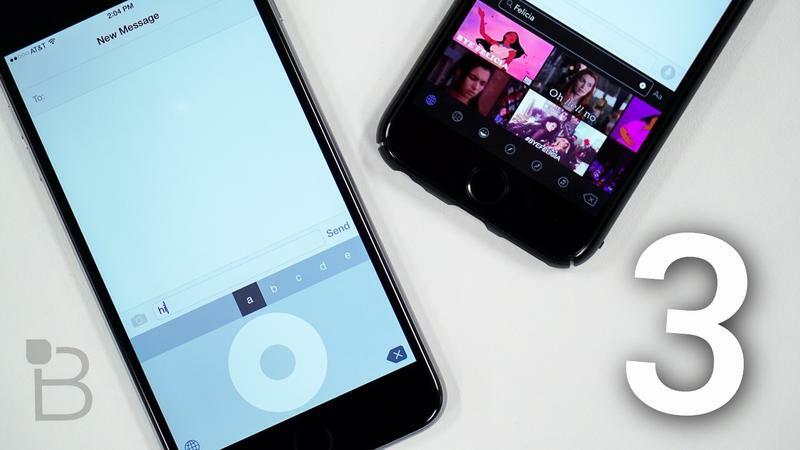 And while most people were probably quick to download keyboards like Swype, SwiftKey and Fleksy, we all know what you really did: download a GIF keyboard. If you haven't explored the more untamed part of Apple's ecosystem, we've made a list of three of the crazier keyboards you should check out. The first one, as you may have guessed, is GIF Keyboard, which is free from the App Store. Sometimes words and emoji can't convey your true feelings, so why not let a cat GIF do that for you? Rather than scouring the Web for the perfect Bob's Burger's GIF, simply let GIF Keyboard do the work for you. Just input your search, and you'll see a ton of results perfect for question like, "How are you feeling?" Nothing a good Tina GIF can't answer. You can see GIF Keyboard in action in the video above, along with Keymoji (free) and Click Wheel (free), which is a nice dose of nostalgia. Hint: it's like an iPod, but not. There are a lot of productive, fun and absolutely useless options in the App Store. These fall in the "fun" category, though, I would argue, conversations are much more productive when GIFs are involved. Maybe one day my bosses will understand that.